Barcelona star striker Luis Saurez has picked team-mate Lionel Messi to clinch this year's Ballon d'Or Award over Portugal's Cristiano Ronaldo, saying the Argentine is the best player in the world regardless of the results. 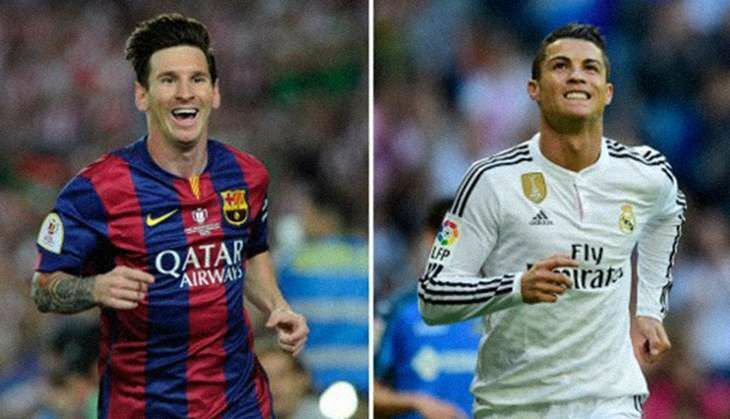 "Perhaps [Ronaldo] has the advantage for the title. I think Messi is the best player in the world, regardless of any others. He decides games and makes the difference although he did not win with his country [at the Copa America]," Saurez was quoted as saying by Spanish newspaper Marca. Ronaldo inspired Real Madrid to the Champions League glory with a 5-3 win over Atletico Madrid in a dramatic penalty shootout before winning Euro 2016 with Portugal following a 1-0 win after extra time against host France. Despite that Saurez believes the Real Madrid striker is still the second best to Messi, who took retirement from international football following Argentina's penalty shootout defeat to Chile in the Copa America final. Messi's setbacks were not limited to the football pitch as he was also found guilty of using tax havens in Belize and Uruguay as well as shell companies in the UK and Switzerland to avoid paying 4.1 million euros on earnings from image rights from 2007 to 2009. Reflecting on the same, Saurez said that Messi had always managed to bounce back despite the circumstances and, therefore, he deserved the full support of his teammates. Messi won the Ballon d'Or title in 2009, 2010, 2011, 2012 and 2015 in contrast to Ronaldo's record of victories in 2008, 2013 and 2014.